Celebrate the past years’ achievements and help us plan for the incredible things to come! Doors will open at 5:00 pm. Please purchase tickets early, as they sell quickly. An event for the whole family! Featuring both a live and silent auction, dinner, and music from Exit 42! Animal-Assisted Therapy can be a wonderful alternative to the traditional four-wall therapy sessions. 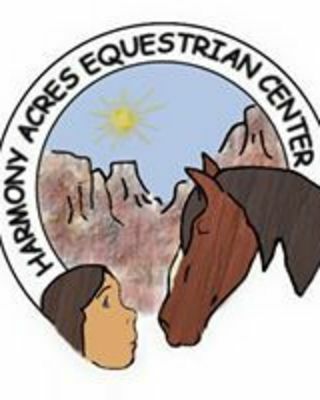 At Harmony Acres, Animal-Assisted Psychotherapy Sessions are led by a licensed therapist, in conjunction with a special animal handler and our amazing team of horses and other therapy animals. For those who are intimidated by the large size of horses, our other animals, including miniature horses, goats, sheep, or even bunnies may take part in the sessions as well. Mental Health sessions take place on the ground, and incorporate relationship building skills, games, and challenges that allow people to explore their feelings and actions in a new environment. Having animals in the session provides safety and comfort, as well as offers the ability to move around, take silent space, or try out new behaviors and skills. At Harmony Acres, we specialize in working with children and adults who have been highly traumatized or abused. Our animals offer the opportunity to help work through fear, anxiety, detachment, or dissociation in a non-threatening environment. Many times, individuals who were not finding success in traditional therapy sessions begin improving markedly once beginning therapy with the animals. We work in conjunction with the Department of Human Services in order to serve children who are at the highest risk and need. We also take referrals from doctors, mental health providers, and privately. In the past three years we have been able to assist over 100 individuals in making new progress in their lives through the healing power of therapy animals. Our goal is to make sure that this incredible form of therapy is available to everyone in our community.